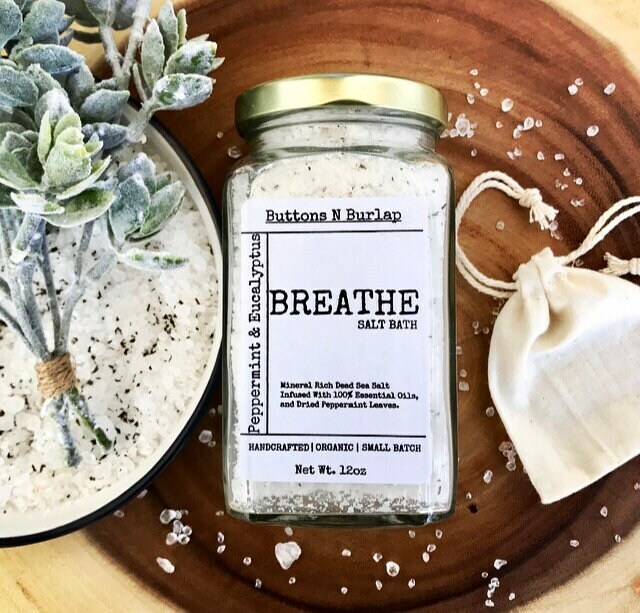 BREATHE BATH SALTS- Peppermint/Eucalyptus/Dried Peppermint Leaves-12oz. 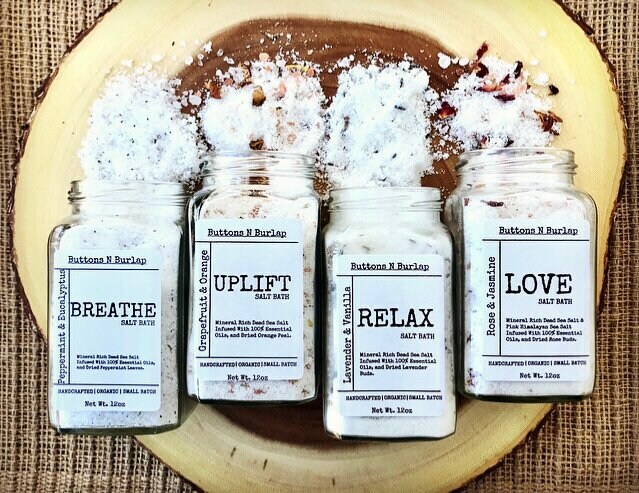 Perfect after a long day to rest, relax, and unwind! Peppermint and Eucalyptus not only soothe tired muscles but they provide excellent sinus relief from colds and allergies! 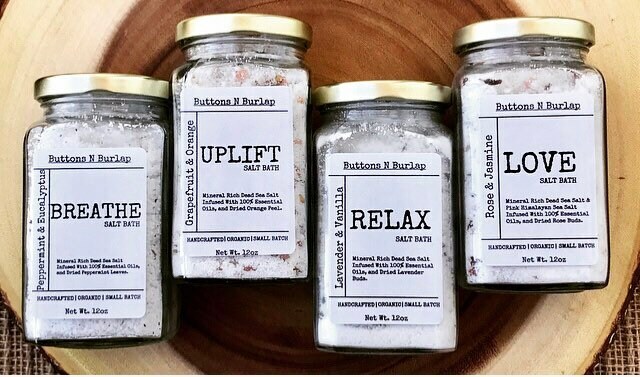 Included: Muslin drawstring bag for pouring your salts into to diffuse salts and botanicals into bath water for easy clean up!! Can also be used in the shower! 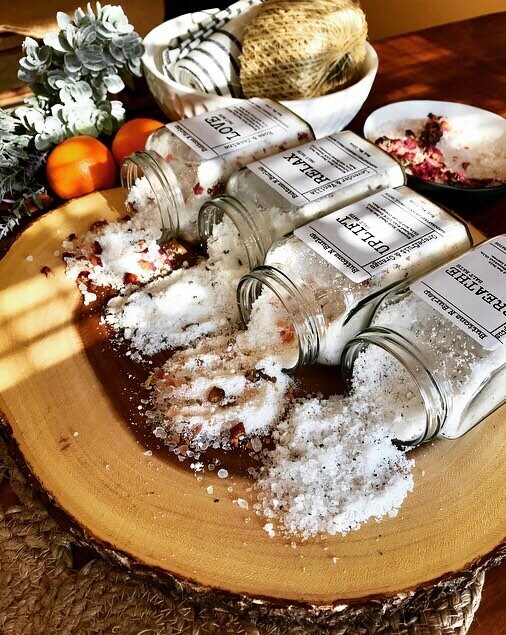 Simply pour your salts into your drawstring bag, close bag, and throw in the bottom of your shower!